SEO never dies, no matter what anybody tells you. There will always be website optimization, for instance, of one kind or another. And, there will always be the need to revisit that optimization and your content. You’ll always need to revisit your SEO strategy, at least briefly. However good you think it is, and however well-targeted it was last year, you can’t rest on that. Because Google is always developing new ways to offer users the best information and search results possible, and everyone “knows” the search engine owns the information highway. You don’t, for example, “search for a term,” you, “Google it.” It’s so big it’s become a proper noun and a verb, people. They’ve taken branding to god level. Okay, maybe that’s not exactly how it is. After all, Google isn’t a human; it’s a bunch of computer programs. -And the company really does want marketers, business owners and optimizers to do their jobs. They just want you to do your jobs right (i.e. don’t game the system). Google, under the umbrella of the Alphabet Company, wants you to improve your website so they can improve their users’ experience. How do we do that? And even more importantly, how do we do that in a way that is future-proof? How do we optimize without having to re-optimize and not take a hit when Google updates? Well, we know that content works, but not just any content. While obviously complex, the best approach to content creation is to focus on content that is relative, useful, informative, and shareable. -Did we mention relevant….? Semantics, with respect to content, addresses what the search engine will reward no matter how many times its algorithm is tweaked. It describes the similarities, or differences in the perceived meaning of words, phrases or sentences with respect to content. Semantics is relative with respect to your content, a user’s search intent, and how the two form a relationship with specific keywords. Keywords and phrases will always carry weight, because they inform search engine spiders not only what to look for in a vast universe of information, but also what to expect when they arrive at a website destination. If your content meets expectations, your site will eventually rank well. If it doesn’t meet expectations, another site will take your spot. Search engines are always on the hunt for the most relevant information for any given query. You’ll likely become familiar with the term latent semantic indexing (LSI) as well. If you’re not, get familiar. It’s important; don’t just look at the fact that it’s been around for years and dismiss it as old hat. 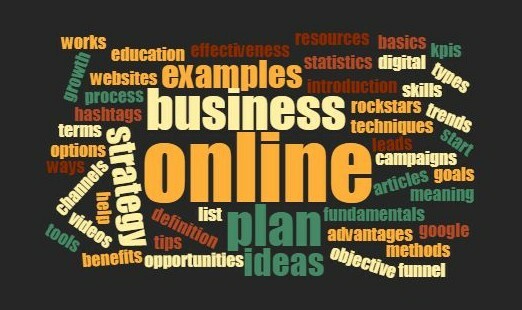 This discipline and practice seeks to discover relevant keywords and phrases. LSI helps content publishers, users, and marketers alike. Marketers can more easily create targeted content that attracts the right audience. Users benefit because the content they find answers their questions. Semantics addresses other things too that are relevant to a physical business like its surroundings, name, address, phone number, (known as NAP, in Local SEO) and other items that give it geo-relevance. Users, on all types of devices, conduct long-tail queries and more precise searches. As such, search engines have had to make the adjustment to provide relevant search results. Google, especially, found that indexing keywords wasn’t enough. They needed to understand how data related to site content and other content throughout the Web. Thus, words became concepts and Google’s search engine evolved into a machine that can actually learn. All the above technical jargon is nice, but what does that mean for you? How do you put it into play? In other words, how do you make your content rock in a way that gets Google interested in ranking? 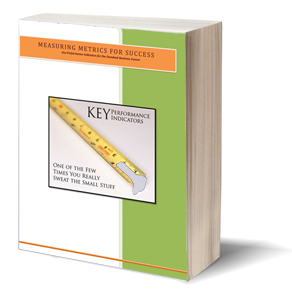 Identify your key performance indicators. This helps you to focus on what you want to accomplish. It helps you to understand if your campaign is winning or losing as well. Know your customers and know them well. It’s the only way to provide content that’s engaging, compelling, and useful. This benefits your page rank and customers looking for products and services like yours. Great content marketing will always start with your customers. Once you’re plugged in, stay that way. Keep a close eye on your industry. What are leaders talking about? What are the best blogs offering? This helps you to provide content that is always relevant and timely. Create a flexible writing schedule. This enables your publishing team to stay focused and on target. It also helps to eliminate any publishing gaps. Constant content can also give your site an organized appearance. Don’t just focus on a primary key term. Use related terms within the content (Jaguar and car, for example, to clarify which Jaguar you’re writing about). Context is as important as content. Identify long tail and really long tail versions of your key term. More on this in a second. Work to mix your content between timely pieces that may only be good for a few weeks, and evergreen content that only needs a slight update occasionally. Before talking about tools, let’s make sure you know what “long tail” is, because it’s a part of latent semantic indexing. “Long tail” simply means adding clarifying terms to your primary. For example, we are marketers, so you could safely say that “Marketer” would be our primary key term. -But the competition level for that term is sky high. Not to mention that there are many types of marketers, so that’s not really helping the visitor understand what they’re looking at. With this in mind, we can spend time brainstorming, or we can go to an LSI tool, such as LSI graph or Uber Suggest. The above are just a few options. It’s best, in our experience, to combine human reasoning (brainstorming) with electronic computation (LSI tools) to come up with a comprehensive list of possibilities for any of your primary key terms. Don’t go crazy per page, but do make sure semantic terms are used. Other LSI tools you can use include Google Auto Complete, Ultimate Keyword Hunter and Niche Laboratory to name a few more. There really are quite a lot. So what next? You’ve been introduced (or reintroduced) to semantic indexing, and given pointers on how to implement in your website content. What now? Simple: Keep writing content that addresses the needs of your audience. Be as original as you can be. You may also have to find a unique way of telling a story that’s been told a thousand times before. Complete the content production cycle by assembling the right tools and technology. Finally, don’t forget that website and content optimization isn’t a “set it and forget it” action. The moment you stop working on your SEO strategy, it stops. There is no such thing as perpetual motion when it comes to marketing and SEO. Every day is a new day. If you need help getting your SEO strategy going, or you just need a nudge in the right direction, contact Level343. We’ve been optimizing for more than 10 years and have the experience to get your campaign on track.